To keep the economy going, government paid the former workers by employing them in an unneeded peacetime army and in bloated public works departments. Everywhere, large groups of men were assembled while a small handful of them shoveled, or nailed or drilled. These everyday people were paid sufficiently to support the economy. But being paid to do little and often unnecessary work, it turned out, was not sufficient to ensure social stability: Just like my real-life Linotype workers, Vonnegut’s workers became surly. The book and the Linotype guys came me to realize early in life that people don’t just work for money, they for self esteem. Most of us define ourselves by family and country, but oftentimes more than that, we define ourselves by the work we do. And others form opinions of us by how they see our work. Take away real work and you erase pride and replace it with anger and resentment. I the past it was a factor in the French, Russian and Maoist revolutions. It is an issue in America’s current social and political divisions. Unemployment is often a factor in violent crimes, substance abuse and even mental disorders. I am writing a new book, called Augmenting People: Why AI Should Back Us Up, Not Push Us Out. 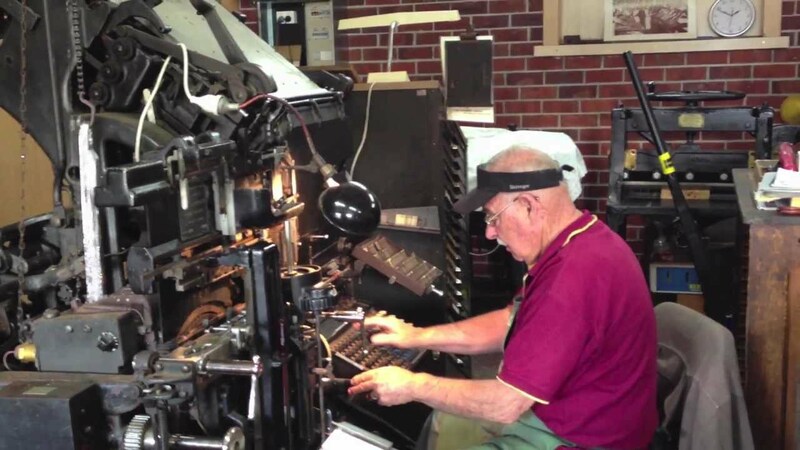 It is all about the lessons I learned from Linotype operators and Vonnegut. AI is inevitable and valuable and will be even more of a driving force to the 21st century than the microprocessor was to the previous century. But, I argue, the wisest course for a healthy, stable and efficient world will be to keep humans in the productivity equation: Not only is it good for the people, it is essential for the health of the world. i will discuss how this will happen in work, health, education, government, the military, growing food and almost everything else I can think of. In my view, AI will create the most amazing tools ever invented: but at the end of the day, for as far into the future as I can see, the machines, will lack common sense, creativity, nurturing capabilities, joy, humor and so much more that are required for human well being. Robots, chatbots, robotic vehicles, and intelligent software will accomplish a great deal. But they are like player pianos: and automated device that sounds like fine music is being played, but somehow that music lacks … soul. This post is cathartic to me. It reminds me of just how long I have been thinking about these issues and ironies of my enthusiasm and immersion technology for all these many years. ← ISTM #6: AI. Will It Augment Us or Replace Us? Who wants a robotic wife?